In London and Amsterdam, the amount of time you can rent out your property for has been limited by threat of account deactivation. Official regulations limiting the amount of time Londoners can rent out their property to 90 days per year have been in place since May 2015, yet this is the first time Airbnb has used its site to effectively enforce this law. In Amsterdam, hosts are now limited to just 60 days. 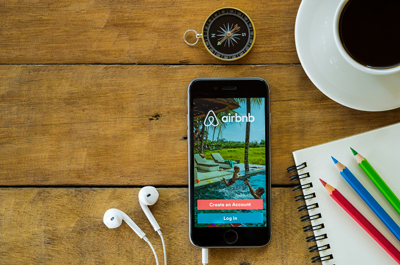 Prior to this latest development, Airbnb used the approach of advising users of the laws and possible penalties, then letting them make their own decision. The changes to their listing process marks a rise in ‘compulsory compliance’ measures such as licence numbers being required in descriptions of properties in regulated areas such as Barcelona. HomeAway is even taking the step of deactivating listings without licence numbers clearly visible. After €600,000 fines have been levied against both Airbnb and HomeAway from the Barcelona council, platforms are being forced to demonstrate that they are actively in collusion with the government, and not allowing illegal activity to be conducted through them. For property managers in either city, this could be a hammer-blow to their prospects for 2017. But, with regulation and professionalisation of the industry come opportunity, so we’ve compiled ways to turn this new regulation to your advantage. The 90 day regulation means that there are more hosts competing for a smaller number of bookable nights. The high season will be more saturated with properties trying to maximise their revenue from the finite listing time available. So – how can a professional property manager turn this to their advantage? With up to 85% of listing being managed by non-professional property owners, there is a huge market of inventory for managers to try to add to their businesses through adding existing listings to their portfolio. Casual property owners will look to professional managers to professionalise and diversify their listing, to bring in comparable revenue in a more competitive landscape. If a property owner now has to fight tooth and nail to get bookings to fill their 90 days, the prospect of higher revenues without the stress will suddenly become a far more appealing prospect. The new regulations will drastically increase the potential for professional managers to become a major brands, controlling a large proportion of the properties and establishing themselves as the dominant brand for their area. The wake of these changes serves to signify a widening chasm between the professional manager and the property owner looking to get bookings with a single listing on Airbnb or any other portal. Certain properties with licences and special dispensation will be exempt from the rule. So, professional managers that have already established their properties as licenced vacation rentals will find themselves operating within a market that just got blown wide open for 75% of the year. Professional managers should be looking to market their services as a manager to owners that are affected by these changes. Owners accustomed to getting bookings will be surprised at the rates and reviews made possible by a professional manager. The managers that will acquire the properties that have become too much work or responsibility will be the ones that have the brand that demonstrates profitability and professionalism, and has the reviews and reputation to back them up. Add a section to your website for property owners to contact you to become part of your brand. Demonstrate your commitment to the guest experience and outline the revenue you can generate for your owners, even in just 90 days. There is also potential for property owners to contact managers, trying to diversify their marketing to circumvent the law by using numerous portals. Yet, the new broom of reform and regulation will eventually sweep these listings up, too. Rather than trying to swim ahead of the great tide of law and order, businesses looking to develop and grow will have to find ways to work within these confines. The lesson here is that booked nights are small part of your business, but every customer is becoming a more valuable commodity. Short-term thinking for short-term rentals is no longer an option. Managers need to work hard to establish their brands and diversify their offering across multiple locations. This brand, your personality, and your customer base are what will sustain your business and allow it to grow, even when faced with issues such as regulation.